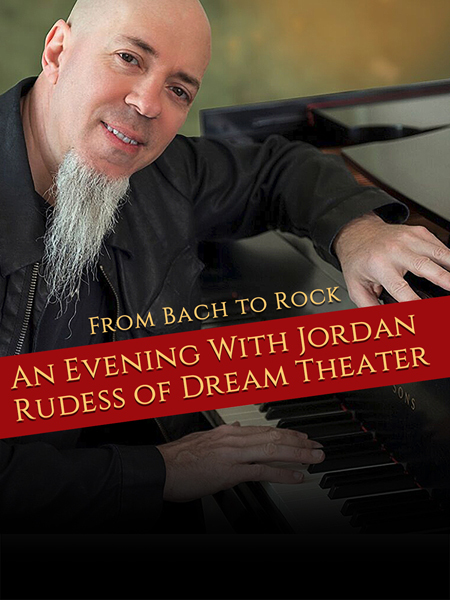 Virtuoso composer Jordan Rudess of Dream Theater will embark on a US West Coast and European tour to perform a solo piano performance entitled 'From Bach To Rock: A Musician's Journey'. The tour begins in Portland. Oregon on March 20th and hits Europe from March 30th through untill mid–April 2018. Jordan's solo concert will travel through his fascinating musical journey – how a young Juilliard piano prodigy destined for a classical music career evolved into a keyboard rock star phenomenon. The Dream Theater keyboard player was inducted into The Hall Of Heavy Metal History in this year's induction ceremony in Anaheim, California.